Get up close and personal with a majestic eagle, spot as many kinds of birds as you can on a guided birding adventure, and snap a few photos of birds you won't find anywhere else. 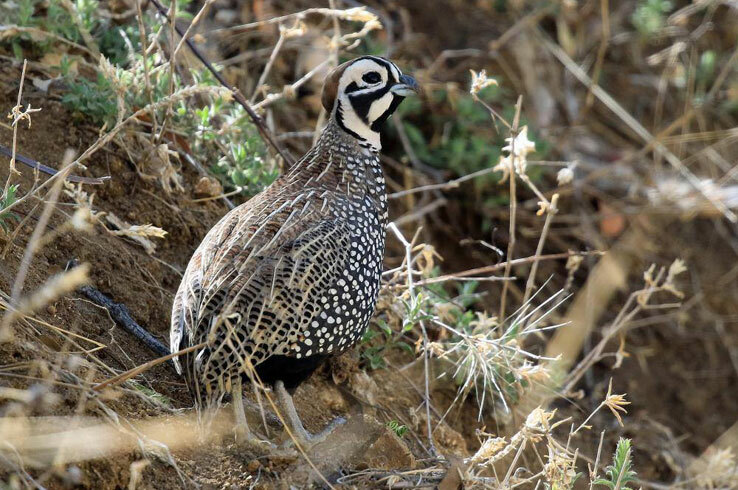 This is all part of the fun you'll have during the Wild West Texas Bird Fest, held in Alpine, Fort Davis, Marfa, and Marathon from Oct. 6 to 7. Made up of live raptor shows, presentations at historic sites, and plenty of opportunities to go birding, you're sure to see something amazing here. Find out more about the festival, and why you should check it out, below. Observing one of these stunning birds of prey is rare, so imagine what it's like to have one fly right over your head. 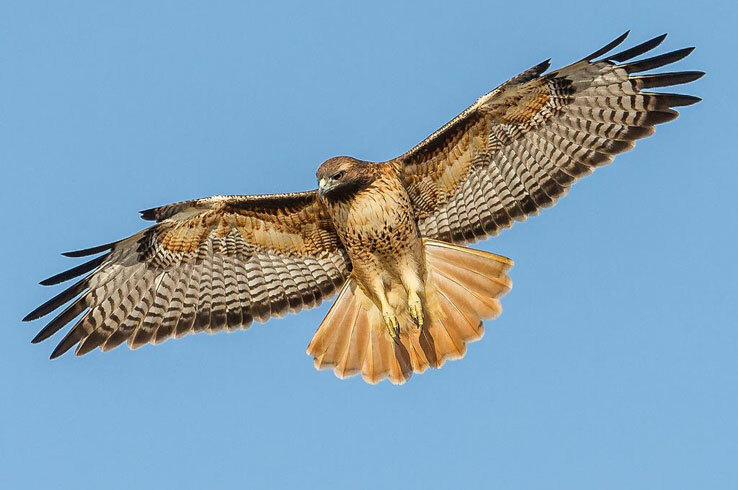 You just may have this experience during Wings Over Alpine at the Historic Kokernot Outdoor Amphitheater, where swooping hawks and diving raptors impress and inspire with their dynamic displays of grace and power. These shows, conducted by the Last Chance Forever Bird of Prey Conservancy, are held at 11 a.m., 1 p.m., and 3 p.m. on Oct. 6 and 7. Better yet, these demonstrations are free! Bring the whole family to see these spectacular birds, an absolute must do during the Wild West Bird Fest. Whether you're an avid bird photographer or you've always got your eye out for a great photo, you won't want to miss the guided photography tours that take you to bird blinds deep in the Davis Mountains. The mountains offer up some of the best birding in Texas, as they are home to more than 360 species throughout the year, including tanagers, hummingbirds, and the much sought-after Montezuma quails. These half-day photo tours, which are available throughout the year, leave from Fort Davis in the morning and afternoon. Book as soon as you can for a spot, as these excursions can only accommodate three photographers at a time. Get your place on the tour and you'll have the chance to take fantastic shots of birds you wouldn't have otherwise found, creating new additions to your own photo collection that you'll be proud of. Fall is one of the best times to go birding in the Big Bend region, and there's no better way to do it during the Wild West Bird Fest than on a guided hike. Join local experts in the mornings and evenings on Oct. 6 and 7 at Post Park in Marathon to learn about the birds and other wildlife that calls this part of Texas home. 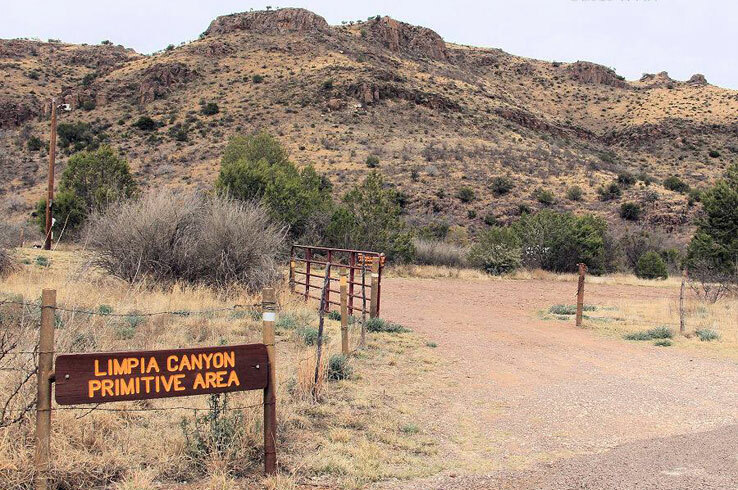 In the morning on Oct. 6, head to the Davis Mountains State Park headquarters for Birding Walk on the Wild Side, a leisurely one-mile jaunt into the lower Limpia Canyon where you'll spy birds, identify plants, and learn about the park's history. Return to the state park at 9 a.m. On Oct. 7 for Birding in the Blind, when local birding experts point out what's flying by. If you'd rather chart your own course, there are a few places nearby to visit. See golden eagles, burrowing owls, American kestrels, and migrating Swainson's hawks along Ranch Road 505, also known as Hawk Alley. Then explore the five miles of hiking trails, the desert botanical garden, and the bird blind at the Chihuahuan Desert Nature Center & Botanical Garden in Fort Davis before marveling at the native plants and animals in the grasslands of the Mimms Unit just northwest of Marfa. You may be here for the birding, but you shouldn't leave West Texas without checking out its many spectacular historic sites. From historic frontier forts and museums to scenic state parks and mysterious ghost towns, there's no end to the wonders you can uncover here. Check out the following attractions to see some of what you can discover in the Big Bend region. With its striking adobe walls, Fort Leaton stands as a testament to an era in Texas history when frontiersmen traded with local Native Americans and much of the West was yet to be won. Reconstructed to appear as it did when it was first built in 1848, the fort offers a glimpse into the past. Today, it's also the visitor center on the western side of Big Bend Ranch State Park. If you plan to visit the park, make sure to stop by and wander around to discover the natural and archaeological history of the area. 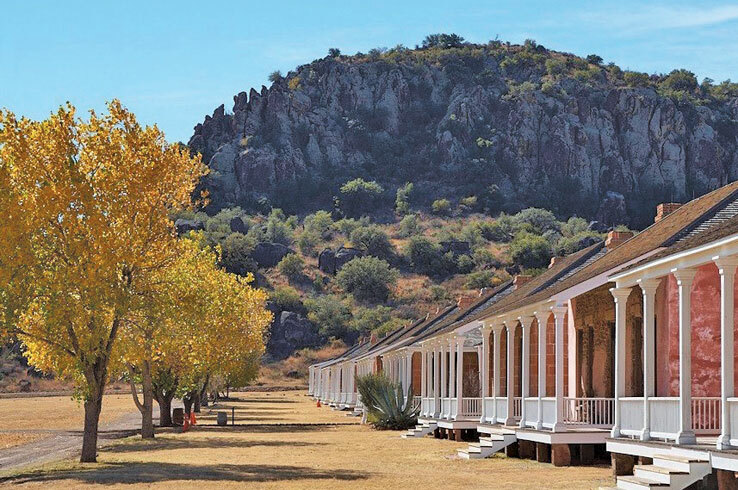 Established in 1854, Fort Davis was an important military fort on the furthest reaches of the Texas frontier that played a role in protecting travelers along the San Antonio-El Paso Road. Learn about the fort's history and the people who served there when you explore the remaining structures and observe its living history presentations. Immerse yourself in the cultures and history of Big Bend at the Museum of the Big Bend, located on the campus of Sul Ross State University in Alpine. See what life was like in the region for the Native Americans who lived here for thousands of years, the Spanish, and frontier settlers. While you're here, you'll also see maps from before Texas was Texas and a rotating collection of Western art. The Big Bend region is a must for anyone who loves birding, and the Wild West Bird Fest is a fantastic way to experience it for yourself. See a full schedule of events here.